Barry from Worldy Nomads tells us about his campervanning trip in New Zealand. We’re always a little embarrassed when we talk about what we did, or more importantly, what we didn’t do when we spent a month in New Zealand. You see, we’re both a pair of scaredy cats. We successfully avoided bungee jumping and sky diving, preferring to take in some of the finer things New Zealand has to offer. Despite being famous for its adrenaline filled activities, it’s the natural resources that really set New Zealand apart. Outstanding mountain ranges that you weave around and through, beautiful hot natural springs, towering glaciers and inviting national parks can keep you busy for weeks on end. If, like us, you enjoy the great outdoors but also enjoy some of the finer things in life, New Zealand is perfect for you. And the best way to see these incredible sights? Well, keen for an adventure and our independence, we opted for a campervan. 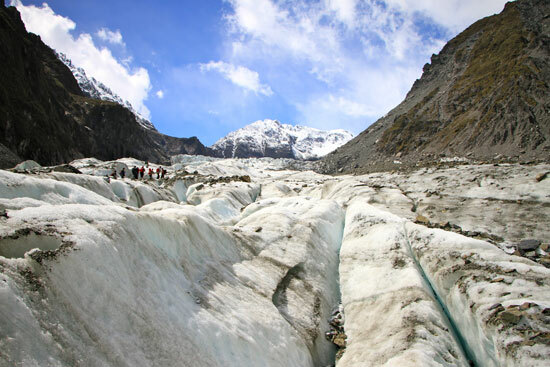 Climb one of the famous glaciers on its west coast: we opted to climb the Fox glacier as we’d heard it was quieter than the Franz Josef glacier, and we loved our half day hike. If we were to do it again, and had a little more spare cash, the heli hike option looked incredible and really gave you a chance to see some of the more interesting glacial elements higher up. 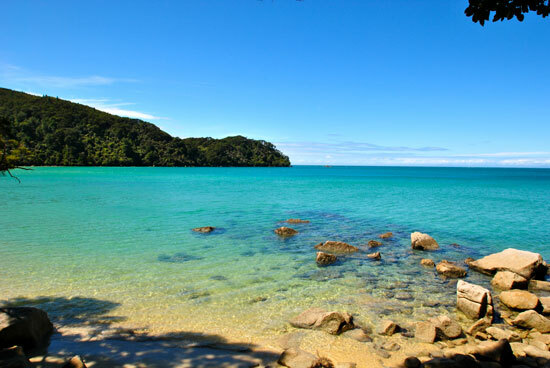 We took a one day boat and trek option in Abel Tasman National Park as we were limited on time, which gave us a flavour for what the national park had to offer. If we had more time, we would have a spent a few days in the park, hiking to more remote places and camping as we went. 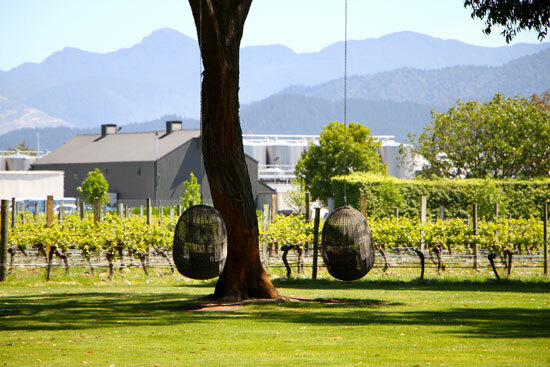 If you’re a wine lover, you will have heard of the Marlborough wine region and its Sauvignon Blanc, and if you’re not a wine lover this is your chance to taste some of the very best wines in the world! We went through an organised Marlborough wine tour so that we could both sample the wines and let someone else take care of the logistics for once! 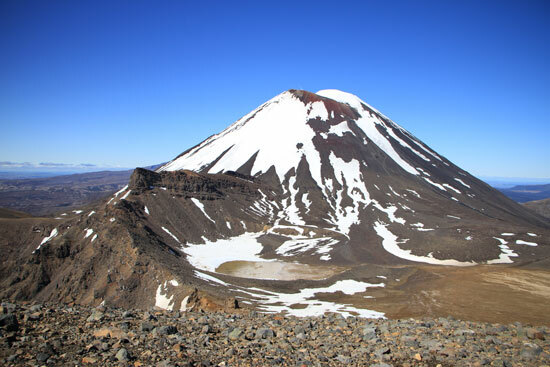 Hike the Tongariro national park: this is a one day hike across a number of volcanoes on the Tongariro crossing . If you are lucky enough to get a clear day, the views are simply stunning and this for us is a must do trek, even if you don’t like walking! How hard this trek is depends on your experience. We’re two healthy 30 year olds who don’t go hiking or trekking whilst in the UK, so we found the hike a challenge but very doable. 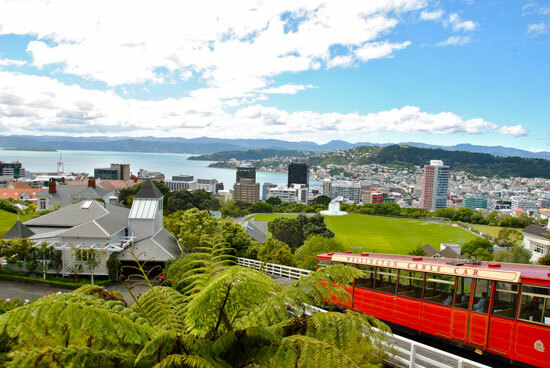 Spend some time in Wellington: this was the biggest surprise of our time in New Zealand. After a few weeks of campervanning around the country, it was nice to come across a larger city where we could recharge our batteries whilst dining out in some lovely restaurants. Whilst in Wellington, the Te Papa museum is incredible, we spent two full days in there looking at the interesting exhibits, and we are normally on the side of ‘museums are interesting for a bit’ of the argument. So for us to spend two days there is a big thumbs up! 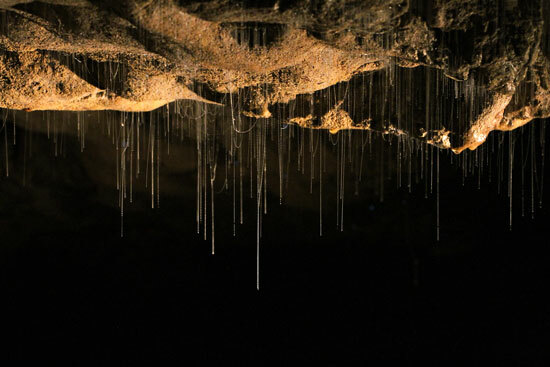 The glow worm caves of Waitomo: These caves were an interesting excursion for a day, a chance to see these unique little beings light up the cave above you like a thousand twinkling stars. There are a few glow worm caves to choose from, so do your research online as some are very developed and full of bus loads of tourists. We went with a smaller company and had the caves to ourselves. The nearby town of Otorohanga is also a nice place to stay for a couple of days, with a few bars and restaurants to keep you busy. And so our whirlwind tour of New Zealand is complete. As you can probably tell, we are big advocates of visiting both islands, and find it hard to say which is better. They both have their own highlights so its hard to choose between the two. Just make sure you give yourself enough time to get around them, despite what Google maps may say, driving times can take a lot longer, especially when you stop for yet another incredible photo opportunity. Oh and don’t feel too bad if you don’t want to throw yourself off a bridge/out of a plane, you’re just like us! Barry travels the world with his wife Laura in search of a bowl of soup and a beer. They write, photograph and create beautiful videos of their travels on their website Worldly Nomads. They're also on Twitter and Facebook. If Barry and Laura's journey has inspired you to visit New Zealand, take a look at our New Zealand holidays and our self-drive holidays.